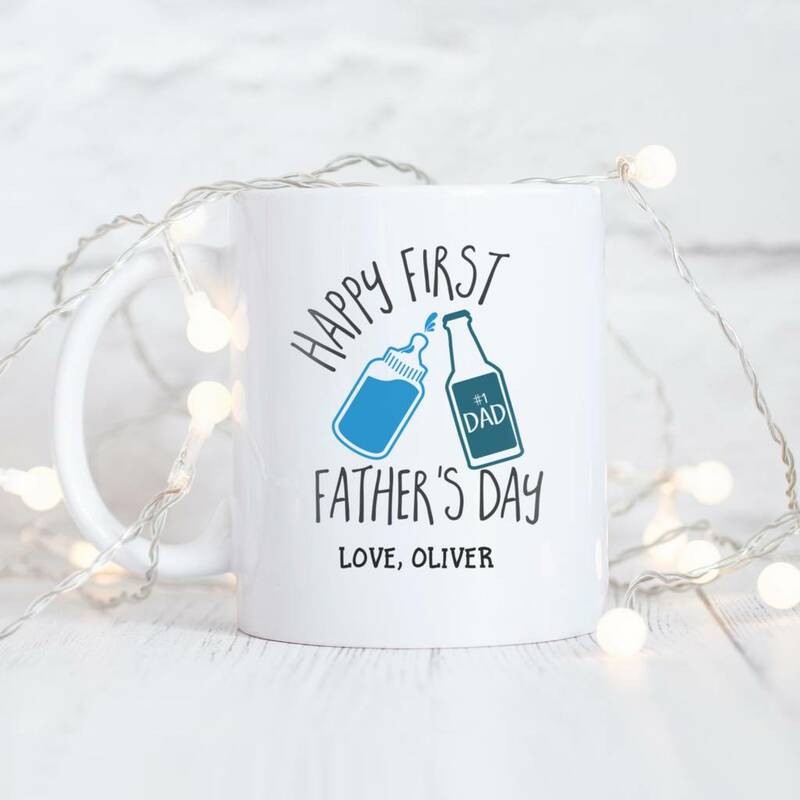 A gorgeous personalised 'First Father's Day' typography ceramic mug. This Hilarious mug is the perfect first Father's Day gift. 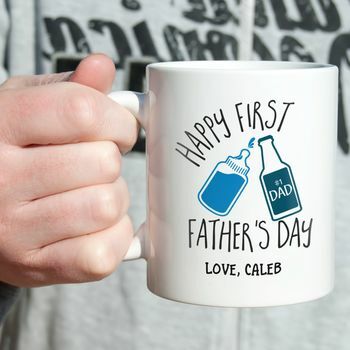 Featuring a beer bottle and baby bottle!